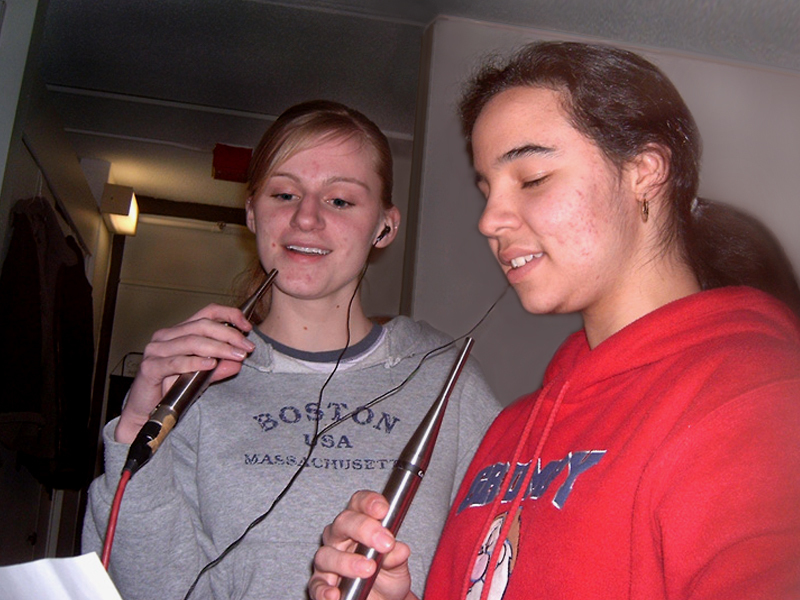 Becca Corcoran (L) and Nancy Giron-Melendez rehearsing before recording a take at MagPro Studios. Thier ergonomic use of earphones is an inspriration to us all. MagPro Ads: Visit the One Duct Road album webpage to rock out to the song Rottweilers by Misop Baynun.